Exclude Islamists from the West? I think all political parties in Quebec must say loud and clear that not only do we not want it in Quebec, we don't want it in Ontario and we don't want it in Canada. ... We must rework the social contract [for immigrants] so that the people – Muslims who want to come to Quebec and who do not respect women's rights or who do not respect whatever rights may be in our Civil Code – stay in their country and not come to Quebec, because that's unacceptable. On the other hand, if people want to come to Quebec and accept our way of doing things and our rights, in that instance they will be welcome and we will help them integrate. A fellow Liberal Party member of the national assembly, Fatima Houda-Pepin, amplified on these comments by arguing that applying the Shari'a in Canada would infringe on women's rights and open the door to polygamy. We've seen sharia at work in Iran. We've seen it at work in Afghanistan, with the odious Taliban regime. We've seen it in Sudan, where the hands of hundreds of innocent people were cut off. We've seen it in Nigeria with attempts at stoning [of accused adulterers]. Houda-Pepin, raised a Muslim, warned that the public should make an effort to get to know those in the Muslim community who are lobbying for application of Shari'a. One of the strengths of Islamists is that they know you very well. They know our history, they know our culture, they know our justice system, the Charter of Rights. ... Their objective is not to integrate into Canada, it is to integrate Canada to their values. Provincial Justice Minister Yvon Marcoux, also of the Liberal Party, rejected the application of the Shari'a in the province: "Certainly not in Quebec. The door is closed, and it will remain closed." And Action democratique du Quebec spokesperson Jean-Nicolas Gagne added, "We certainly are against application of sharia in Quebec." March 12, 2005 update: "What do we have to do with what happens in Sudan or Afghanistan? Did any one say we have to apply the laws of [those countries] in Canada?" So retorted Jamal Badawi to Fatima Houda-Pepin last night at a public talk at Concordia University. Raising the specter of beheadings and amputations in Saudi Arabia and other Islamic countries shows an alarming ignorance rooted in fear and prejudice, claimed the director of the Islamic Information Foundation in Halifax. And in response to Monique Gagnon-Tremblay's comments, Riad Saloojee of Council on American-Islamic Relations-Canada, asked: "I wonder if she would tell Jews or Christians they should not be allowed in the country if they believe in faith-based arbitration." Comment: The Islamists realize they have a problem. All immigration applicants know these rules. During my mandate as Minister of Immigration for the Bourassa government, I personally made certain this was clear in the Québec Immigration Act and in the "moral contract" applicants are asked to respect. Applicants are made aware of the situation and are then free to choose whether they still want to come to Québec. If they do, by the very fact of immigrating, they agree to abide by our legal system and values. It is then up to us to facilitate their integration into Québec society. I will strongly oppose any attempt to apply religious edicts in Québec or Canada that run counter to our laws. May 26, 2005 update: Reports the Canadian Press agency today: "Quebec lawmakers from all parties voted unanimously in the legislature to reject the use of Islamic tribunals in the legal system. The vote was a pre-emptive strike to stop a growing movement among some Muslims to have the religion to play a role in family law." I don't think they should be let in ... If someone has a record of saying everything your country stands for is wrong – women should have no rights; homosexuals should be hunted down and persecuted; sharia law should be applied from go to whoa – I don't think they have a role here. I don't think they can be integrated here. Aug. 3, 2005 update: Gerald Howarth, Great Britain's shadow defence minister and Tory MP for Aldershot, suggested that British Islamists should leave for Muslim countries. "If they don't like our way of life, there is a simple remedy: go to another country, get out." Asked what if these people were born in Britain, he replied: "Tough. If you don't give allegiance to this country, then leave. There are plenty of other countries whose way of life would appear to be more conducive to what they aspire to. They would be happy and we would be happy." He added that overwhelmingly the people he spoke to agreed with this view. We believe in giving every person a fair go, we don't care where people come from, we don't mind what religion they've got. But what we want them to do is commit to the Australian constitution, Australian rule of law and basically, people who don't want to be Australians, and they don't want to live by Australian values and understand them, well then they can basically clear off. Peter Costello, the treasurer of Australia and heir apparent to Prime Minister John Howard, was briefly interviewed by the Australian on the matter of Muslims aspiring to Shari'a, then he entered into a fuller discussion of this issue on Lateline with host Tony Jones. there are some clerics who have been quoted as saying they recognise two laws. They recognise Australian law and Sharia law. There's only one law in Australia, it's the Australian law. For those coming to Australia, I think we ought to be very clear about that. We expect them to recognise only one law and to observe it. Now, for those who are born in Australia, I'd make the same point. This is a country which has a Constitution. Under its Constitution, the state is secular. Under its constitution, the law is made by the parliament. Under its Constitution, it's enforced by the judiciary. These are Australian values and they're not going to change and we would expect people, when they come to Australia or if they are born in Australia, to respect those values. TONY JONES: I take it that if you're a dual citizen and you have the opportunity to leave and you don't like Australian values, you're encouraging them to go away; is that right? Well, where a person has dual citizenship, Tony, it might be possible to ask them to exercise that other citizenship where they could just as easily exercise a citizenship of another country. That might be a live possibility. 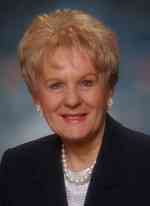 TONY JONES: You mean to force them to leave? PETER COSTELLO: Well, you could ask them to exercise another citizenship. TONY JONES: But you would only do that if there were a terrorist attack in the aftermath of it. You wouldn't do it, for example, if there were a thwarted terrorist attack as ASIO has told us there has been in this country? PETER COSTELLO: Well, I am not going into individual circumstances. I just make the point that where people have dual citizenship and they're not comfortable with the way Australia is structured, it may be possible to ask them to exercise their other citizenship. PETER COSTELLO: Well, as I said, it may be possible to ask them to exercise their other citizenship. Comment: Bob Carr and Peter Costello, one Labour and the other Liberal, are leaders of Australia's two largest parties, making their confluence on the issue of Islamic law of note. Aug. 30, 2005 update: In my weekly column, "Islamists, Get Out," I use information in this entry and draw some conclusions. Nov. 11, 2005 update: The intrepid Peter Costello, treasurer of Australia, returns to the topic in an interview with Ray Martin on A Current Affair. I include nearly the entire transcript here, bolding the key statements. RAY MARTIN: It seems clear, from what you said in today's press, you're angry with people who promote Sharia, Islamic law? PETER COSTELLO: Well the point I would make is this, Australians are free to express themselves about political views, let's make that clear. But there are some things Australia stands for, has always stood for, always will stand for which will never change. We will never be an Islamic State. We will never observe Sharia Law. We have a Constitution. The Constitution means that Australia has a civil state, that the laws are made by elected representatives. We will always be a democracy and to people who say, well we have come to this country and we would like to turn it into something that it isn't, I say, you must understand, that will never occur. There are certain core Constitutional things that Australia stands for, always will and expects all of its citizens to accept. And that is a civil government with parliamentary democracy, with democratic law making, with equality between men and women and if you're someone that doesn't like those principles then Australia may not be the best place for you. RAY MARTIN: You said it's a free country, but it's not a crime to criticise the law, or the government is it? PETER COSTELLO: No it is not a crime. But if anybody has the belief that they will somehow or another turn Australia into an Islamic republic I would just counsel against it. It will not happen. And if you want to live in an Islamic republic there are countries around the world that are Islamic republics, you might be happier in those countries than you will be in Australia. That is my point. RAY MARTIN: Treasurer, you said this to me three months ago, some Islamic leaders are still out there saying it? PETER COSTELLO: Well there is only one law in Australia. It is the law that is made by parliament and it is enforced by the courts. And every person who lives in Australia has to understand this. This is the law they come under. And the point I make also is people who come to Australia as immigrants and become Australian citizens, they take an oath to this country and that means something. That means your loyalty is to this country, its democratic values, you pledge an oath to observe those democratic values and I think it is incumbent upon us in Government to say to those people we mean it and we expect them to mean it as well. RAY MARTIN: Should we be tougher with those immigrants, should we specify when they come here that they'll be living by Australian law, not Sharia law? PETER COSTELLO: Well I think we are entitled to say to people who want to become Australian citizens, this is what Australia is about. If you want to be an Australian you are expected to subscribe to it. If you don't subscribe to that then Australia is not the place where you are likely to be happy. There may be other countries where you could be happier. I think we are entitled to say that to people that are coming to our country. I don't think we ought to mix our messages, I think we ought to be very clear and very direct. There are things that Australia stands for and if you want to be an Australian you are expected to believe in those things as well. RAY MARTIN: As you said at the start, we live in tense times, but they're still promoting Islamic law, should you kick them out? PETER COSTELLO: Well I would say that people who are dual citizens, who are an Australian citizen and an a citizen of another country as well, if they are not happy with Australia it might be better for them to live in the country where they are also a citizen. See it is a funny thing, isn't it, to say, "Well I want to live in this country but I am just opposed to everything that happens," or "I am opposed to its system of government." If you really are opposed to everything that happens or its system of government then why not go to the country where you also hold citizenship? You might be happier there, that is my point. Rather than say I would like to change everything about Australia, everything that it stands for, maybe the problem doesn't lie with the country maybe it lies with the individual. ... I would say to people who say they are opposed to Australia and what it stands for, who are dual citizens, maybe it is time to go and exercise your other citizenship. RAY MARTIN: What do you do with those Australians born here, who say the same thing? PETER COSTELLO: Well this is a separate problem you see. A person who doesn't have another citizenship is in a different category. They have no other country to go to. It may be that they would want to migrate to those countries but of course they don't have a citizenship and so they are in a different category. RAY MARTIN: Would you pay their way? RAY MARTIN: As I said, you said this to me three months ago, you were saying this, circumstances have changed dramatically in the last week [when a major counterterrorism raid took place], is it time for the Australian Government to get tougher? PETER COSTELLO: Well I think it is time for the Australian Government to speak clearly and to make this point and to make it to any person who has the view that somehow they can change Australia into something which it will never be, and it won't happen. And they ought to understand that and would-be migrants ought to understand that as well and I think the time has come for plain speaking. That is what I am engaging in. RAY MARTIN: Do you mean no second chance, someone who's not an Australian citizen supports Sharia law, would you kick them out? PETER COSTELLO: Well it is time to realise that you are advocating something which will never happen. It won't happen. If that is what you want you won't find it here. That is the point I would make, you won't find it here. RAY MARTIN: I know you don't mean to, but coming out so strongly like you have today are you saying this will turn up the heat on average Muslims, most of whom are law abiding citizens? PETER COSTELLO: Well of course most Muslim Australians are here because they actually respect civil state, they respect parliamentary democracies, that is why they came here. And anyone who respects those things is very welcome to come here. It is the people who come here and want to take advantage of that and then change it or abolish it that I am speaking to. It won't be abolished, we have a Constitution, it won't change, if you don't like the way Australia is run, if you don't like a civil state then you are not going to like Australia. That is my point. But if you do and you do want to take advantage of it, of course you are welcome here, very welcome here, like millions of other migrants that have come to Australia. RAY MARTIN: Do you sympathise with those moderate Muslim leaders who are today saying they feel the backlash already and they're being subjected to racist comments. PETER COSTELLO: Well I would say that moderate Muslim leaders have a very big role to play here as well. I think when they speak unambiguously and clearly renouncing terrorism, warning that those people who are engaging in terrorism are not true followers of Islam, that they are following a perverted ideology. When they speak like that they are a very, very big part of the solution of the security for Australia. And I would warmly welcome moderate Muslim leaders speaking out in an unambiguous and uncompromising way. RAY MARTIN: What do you say to non-Muslim Australians, who see different clothes, see different cultures – be tolerant? PETER COSTELLO: Oh absolutely. There is plenty of room in Australia for different fashion and plenty of room for different ways of standard of living. But there is no room for people who don't accept what Australia stands for. Parliamentary democracy, the rule of law, equality of people, civil state, that is where there is no room for compromise. How you look, what you eat, various ways bloom here but let's be very clear about the most important things about Australia and what it stands for. RAY MARTIN: Listening to talkback today, there's an outcry people are saying it's too late, we've lost our Australian way? PETER COSTELLO: Of course we haven't. And this is a great country. This is one of the greatest countries in the world. And we have the will to make sure that it stays that way. And we are going to exercise that will. We are going to keep it the way we believe in and those Australians who, and they are the overwhelming majority, who believe in all of those things can rest assured that together as a people we will continue to make this one of the greatest countries in the world. Nov. 12, 2005 update: Australia's Lebanese Muslim Association responded to Peter Costello, criticizing what it called his "unjustified, unacceptable and hatred-instigating statements" and urging him to be a role model for Australia by advocating harmony and respect for diversity, "the essence of true Islam." Nov. 21, 2005 update: Alby Schultz, a Liberal backbencher, goes Peter Costello one better and says religion should be made a factor in deciding who is allowed to emmigrate to Australia, with non-Christian applicants and people from hostile countries subject to greater scrutiny. "We've got to tighten up on the way all people that come into this country—particularly those people coming from a country with a history of anti-Christian behaviour—apply for citizenship." Feb. 20, 2006 update: Prime Minister John Howard criticised aspects of Muslim culture and warned that they pose an unprecedented challenge to Australia. Although confident that the great majority of Muslims would successfully integrate, he noted two unprecedented problems. "there is this particular complication because there is a fragment which is utterly antagonistic to our kind of society, and that is a difficulty. You can't find any equivalent in Italian, or Greek, or Lebanese, or Chinese or Baltic immigration to Australia. There is no equivalent of raving on about jihad, but that is the major problem." "some of the associated attitudes towards women [are] a problem. For all the conservatism towards women and so forth within some of the Mediterranean cultures, it's as nothing compared with some of the more extreme attitudes." There is one law we are all expected to abide by. It is the law enacted by the Parliament under the Australian Constitution. If you can't accept that, then you don't accept the fundamentals of what Australia is and what it stands for. ... there is not a separate stream of law derived from religious sources that competes with or supplants Australian law in governing our civil society. The source of our law is the democratically elected legislature. There are countries that apply religious or sharia law – Saudi Arabia and Iran come to mind. If a person wants to live under sharia law these are countries where they might feel at ease. But not Australia. If someone cannot honestly make the citizenship pledge, they cannot honestly take out citizenship. If they have taken it out already they should not be able to keep it where they have citizenship in some other country. In these cases, we have on our hands citizens who are apparently so alienated that they do not support what their country stands for. Such alienation could become a threat to the rights and liberties of others. And so it is important to explain our values, explain why they are important and engage leadership they respect to assist us in this process. Ultimately, however, it is important that they know that there is only one law and it is going to be enforced whether they acknowledge its legitimacy or not. Feb. 27, 2006 update: A British echo of the Australian sentiments comes from Sir Trevor Phillips, chairman of the Commission for Racial Equality. The topic was Muslims living under Shar'i laws in their own enclaves. I don't think that's conceivable. We have one set of laws ... and that's the end of the story. If you want to have laws decided in another way, you have to live somewhere else. Bob Clarkson, New Zealand National Party MP. Aug. 27, 2006 update: Bob Clarkson, a parliamentary representative in New Zealand's National party, told Muslims wearing burqas in public that they should "go back to Islam or Iraq." Later elaborating on his views, he said that Muslims have got to be "a little more compromising when they come to somebody else's country. Learn to live with us, don't fight us." Aug. 29, 2007 update: I today write about the related topic of banning not just Islamists but "Ban Islam?" Feb. 2, 2010 update: Politicians in a number of countries talk about excluding Islamists but only the French seem actually to do so. In the most recent instance, Immigration Minister Eric Besson announced that a male Muslim immigrant from Morocco who requires his French citizen wife to cover her face would not be granted citizenship. Besson said that the unnamed man "was depriving her of her liberty to come and go with her face uncovered and rejected the principles of secularism and equality between men and women." Sources say Mr Morrison told the shadow cabinet meeting on December 1 at the Ryde Civic Centre that the Coalition should ramp up its questioning of "multiculturalism" and appeal to deep voter concerns about Muslim immigration and "inability" to integrate. 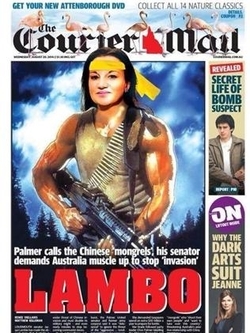 A newspaper cover following Tasmania's Senator Jacqui Lambie's comments about a PRC invasion of Australia. Sep. 15, 2014 update: Jacqui Lambie, a senator in Tasmania Province, Australia, has taken a tough stand on Shari'a supporters: "anyone who supports Sharia law in Australia should not have the right to vote, should not be given government handouts, and should probably pack up their bags and get out of here. Anybody that's supporting or calling for sharia law in Australia should get out. It's as simple as that." It is incomprehensible that you can turn against freedom... But if you don't like freedom, for heaven's sake pack your bags and leave. There may be a place in the world where you can be yourself, be honest with yourself and do not go and kill innocent journalists. And if you do not like it here because humorists you do not like make a newspaper, may I then say you can f*** off. This is stupid, this so incomprehensible. Vanish from the Netherlands if you cannot find your place here. All those well-meaning Muslims here will now be stared at. For Australian nationals involved in terrorism, the government would look at suspending some of the privileges of citizenship. "These could include restricting the ability to leave or return to Australia, and access to consular services overseas, as well as access to welfare payments," Mr Abbott said. for too long successive governments had been concerned about organisations that "breed hatred and sometimes incite violence." "These organisations and individuals blatantly spreading discord and division such as Hizb ut-Tahrir should not do so with impunity," he said. The Prime Minister gave few specifics but said efforts to crack down on such behaviour would include programs to challenge terrorist propaganda and publication of alternative material "based on Australian values." 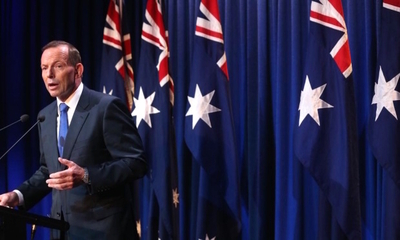 Australia's Prime Minister Tony Abbott delivering a speech at the Australian Federal Police headquarters. Finally, he added that Muslim leaders should speak out more against extremism. "I've often heard Western leaders describe Islam as a religion of peace. I wish more Muslim leaders would say that more often and mean it," he said. "Everybody, including Muslim community leaders, needs to speak up clearly, because no matter what the grievance, violence against innocents must surely be a blasphemy against all religion." As for naturalized citizens, "He said that would include developing amendments to the Australian Citizenship Act to give the government powers to revoke or suspend citizenship in the case of dual nationals." May 14, 2015 update: Robert Chardon, the UMP mayor of Venelles, a small town in the south of France, sent out a flurry of tweets in which he not only stated that "il faut interdire le culte musulman en France" ("Islam must be banned from France") but also predicted that this ban would be enacted by the uncannily precise (and unexplained) date of October 18, 2027?. In response, the UMP party reacted with horror, basically throwing him out. Comment: Such frustrated, unthinking, counterproductive blurts are to be expected and will likely recur more frequently in the West as the population reacts against the perceived threat of Islam. Jan. 14, 2017 update: Heinz Christian Strache, head of the Freedom Party of Austria (FPÖ) said that the country needs "a law which prohibits fascistic Islam" and Muslim symbols "to put an end to this policy of Islamization." A party spokesman explained that a law against extreme elements of Islam should resemble the law banning the Nazi Party and Nazi symbols. Apr. 12, 2017 update: Wolfgang Schaeuble, Germany's Finance Minister, addressed Islamists in Europe, telling them they "made the wrong decision" because "there are better places in the world to live under Islamic law than Europe."